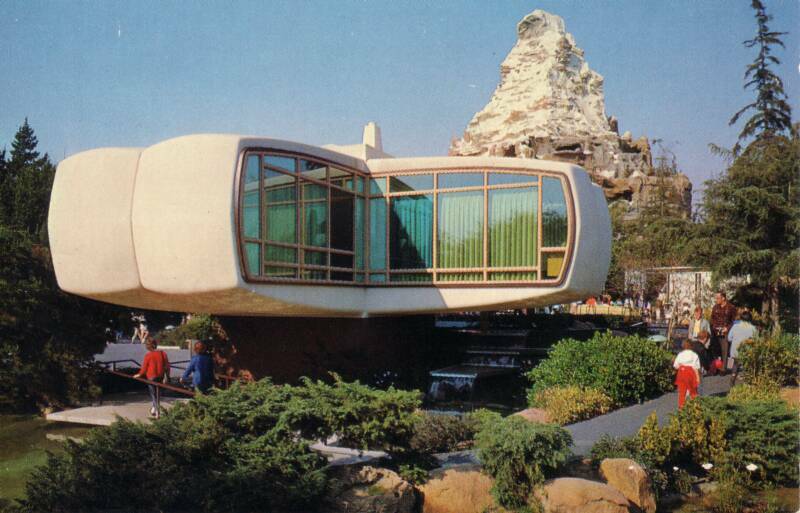 Plastics was the key word at the recent Columbia conference "Permanent Change: Plastics in Architecture and Engineering," which featured some of the best architects working with polymers today. On opening night, Greg Lynn did away with traditional tectonics in favor of total composite design from recycled toys to beautiful racing boats. 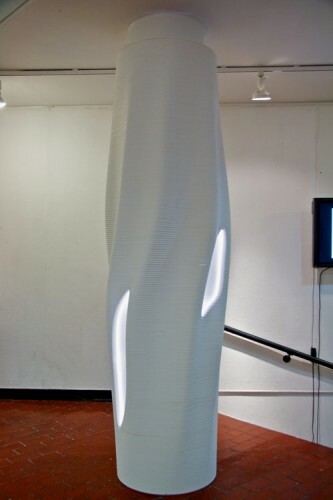 Several pieces were on display in the lobby, including a beautiful backlit ribbed column cover designed by Columbia associate professor Yoshiko Sato (assisted by Shuning Zhao and John Hooper). 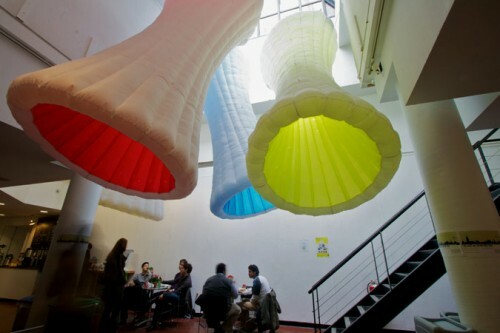 Sato, who's known for her NASA design research and space course at Columbia, also designed the two over-sized plastic inflatable flowers suspended from the lobby ceiling, as shown above. The composite designs will be up and on view at the Morningside Heights campus at least another week.